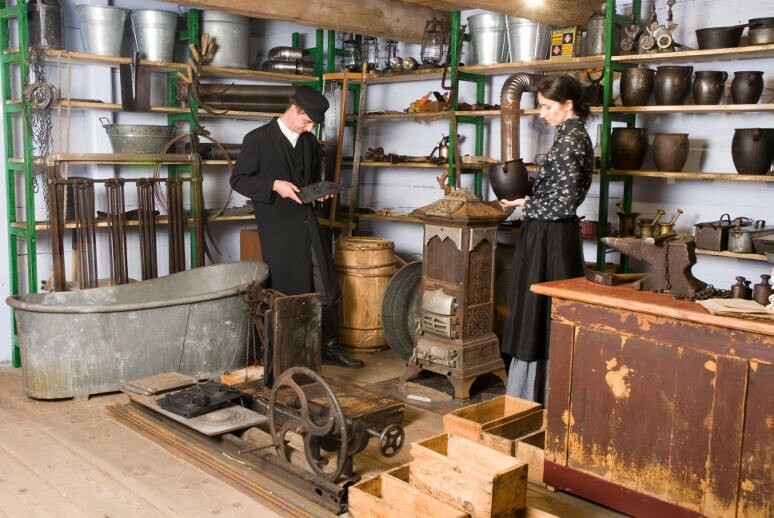 The following sectors: Vistula Region, Podlasie and Nadbuże are only available for walking without exploring the interiors of the objects. 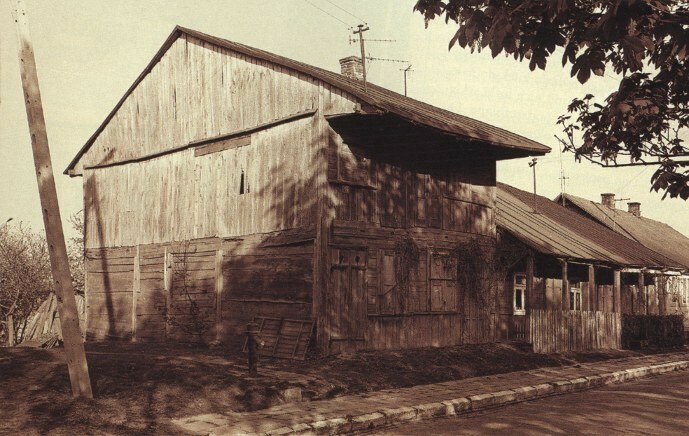 In the rural and urban area. 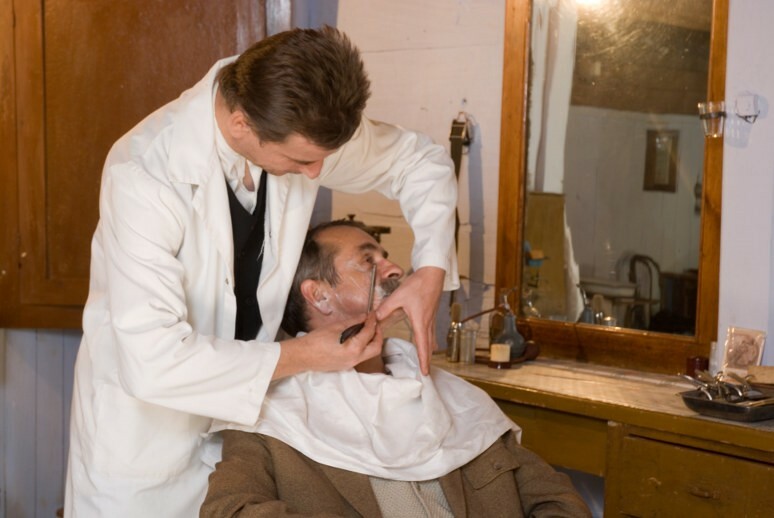 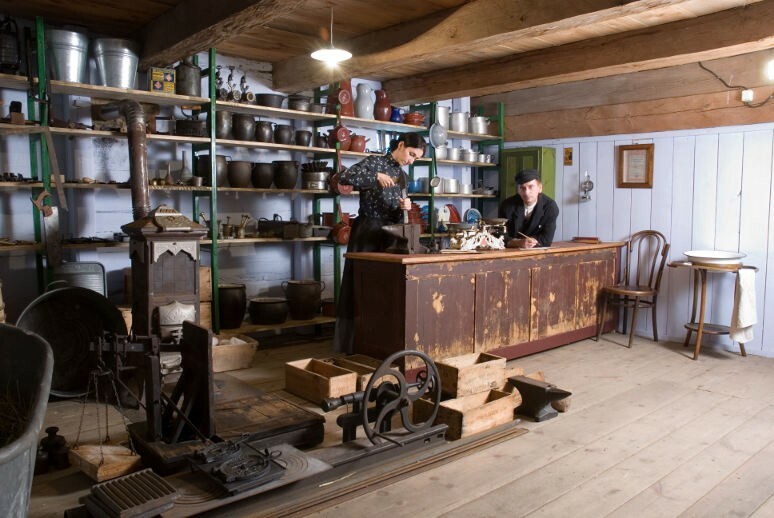 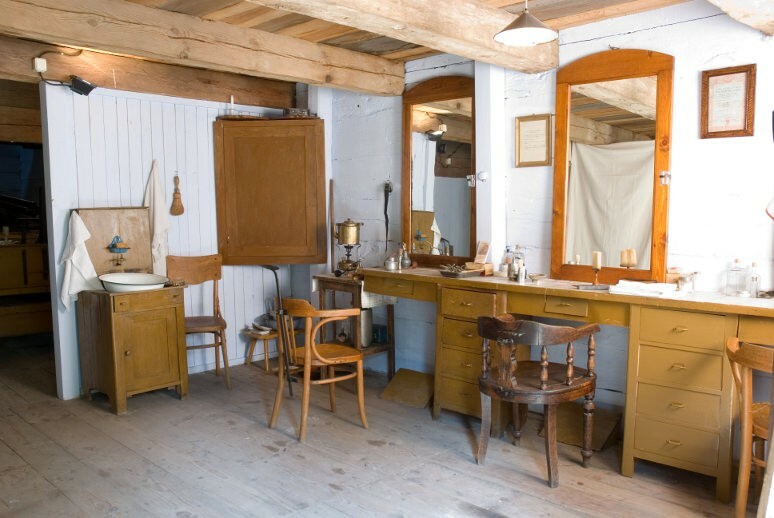 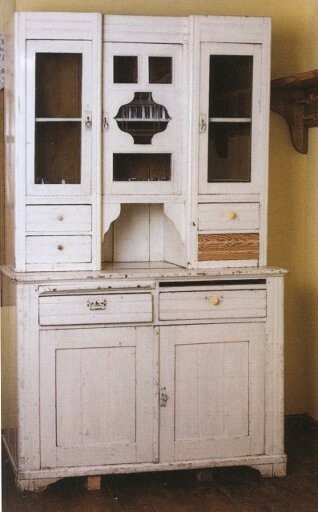 In 2009 exhibitions of two Jewish houses and a village store were open to the public. 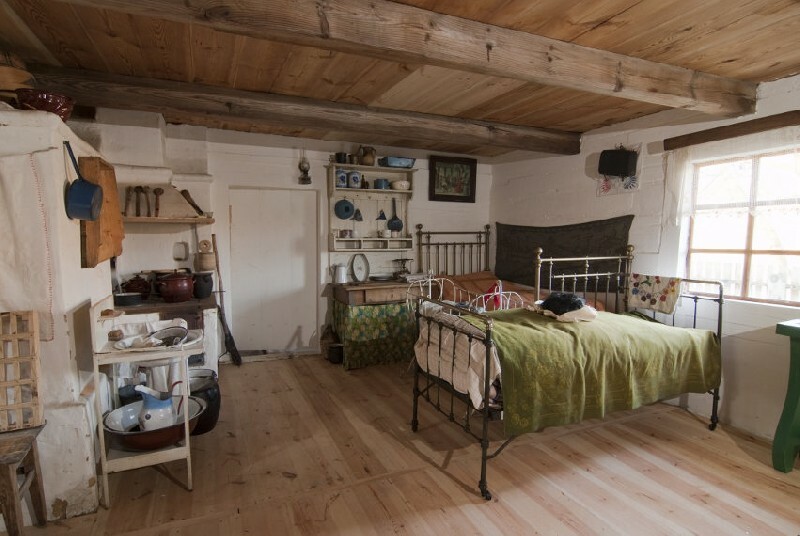 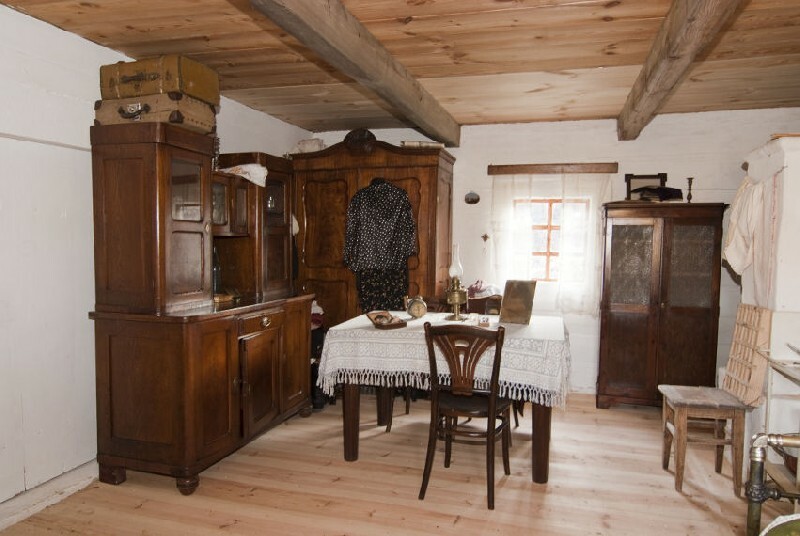 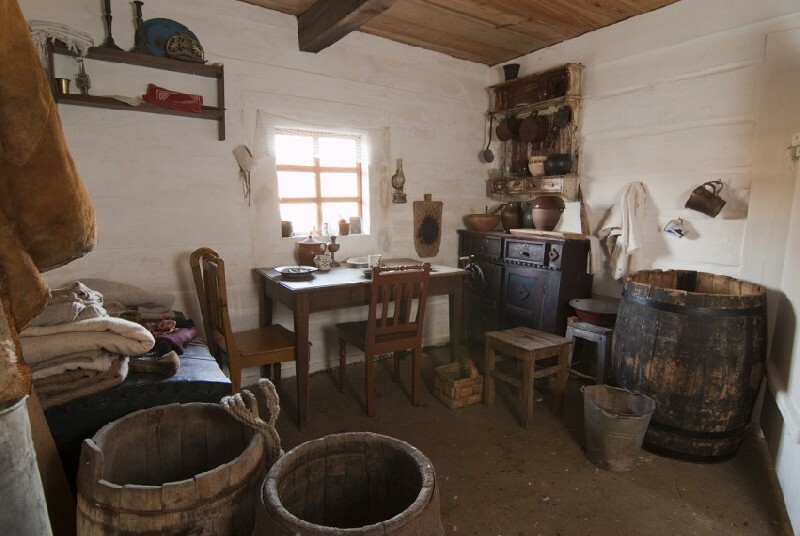 The hallway of a cottage located in Głodno recreates the dwelling of the Jewish peddler whereas the cottage’s room the dwelling of the Jewish storekeeper. 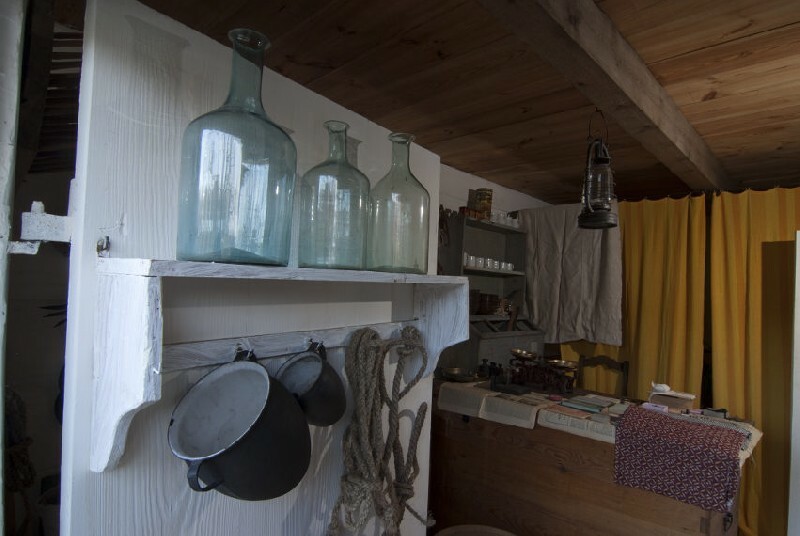 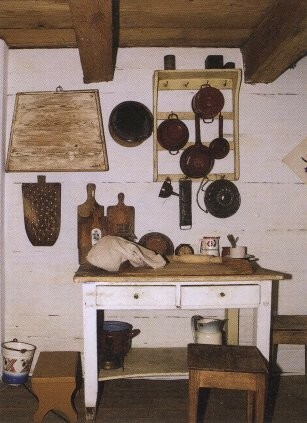 There is also a small Jewish store located in the cottage’s chamber. 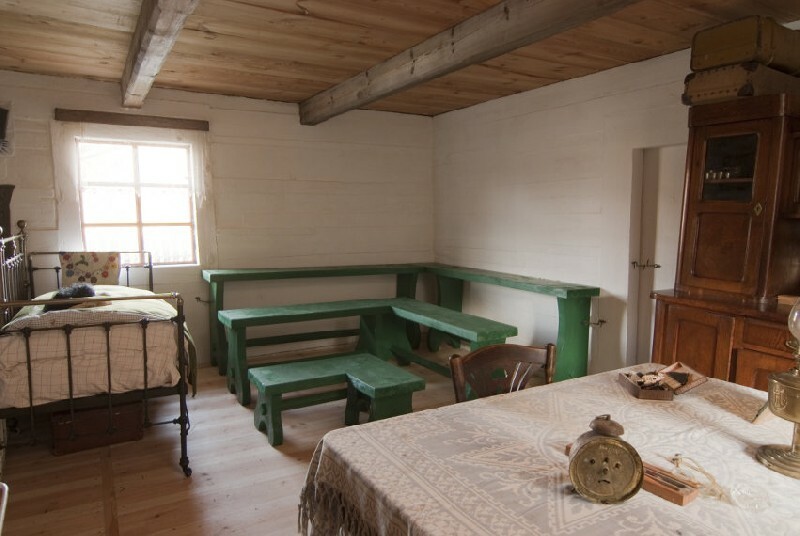 All these interiors depict the economic and residential situation of the rural and urban Jewish population of the Lublin region in the 1930s. 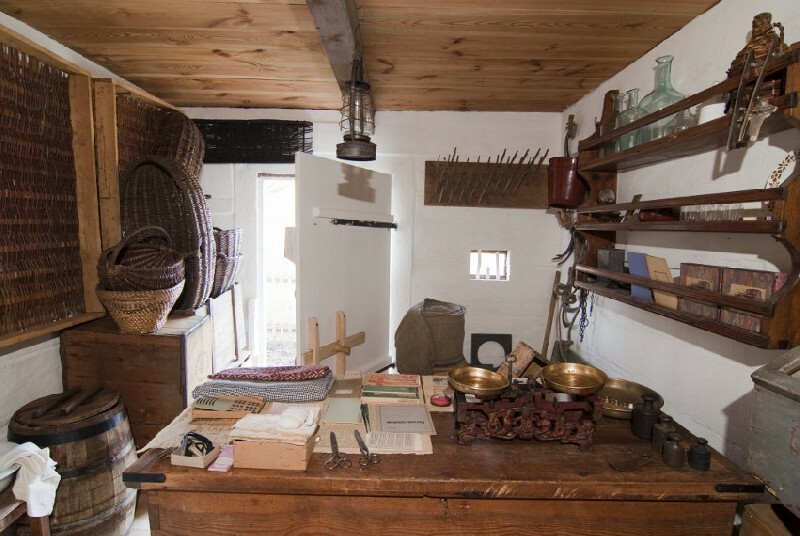 There are also educational activities planned within the exhibition– click here to learn more. 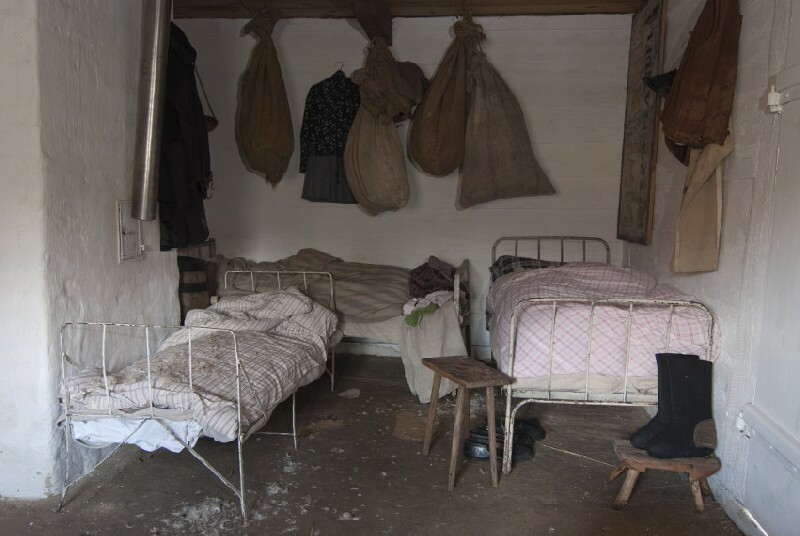 Eight photographs published in the Poznaj i uszanuj codzienność innych (Learn about the everyday life of other people and respect it) catalogue come from the Gołda Tencer-Szurmiej’s “Shalom” Foundation. 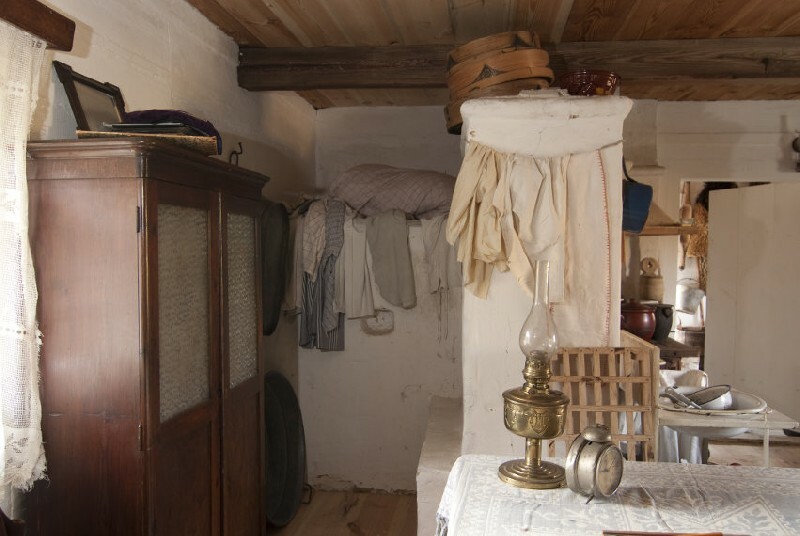 The Open Air Village Museum in Lublin is sincerely thankful to the Foundation for providing these photographs. 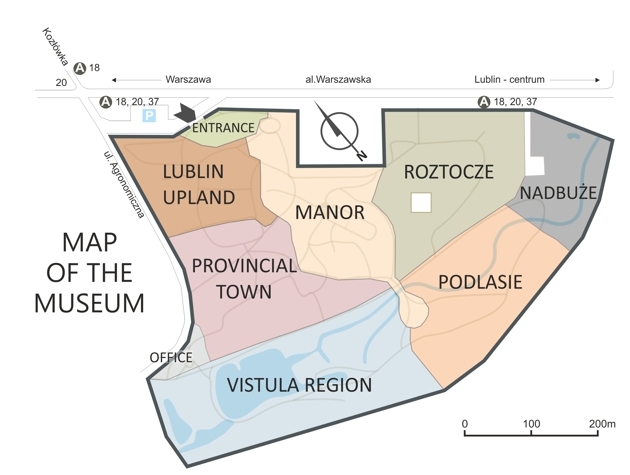 and the Lublin Province Self-Government.